Dark Brown Wing Back Armchair. 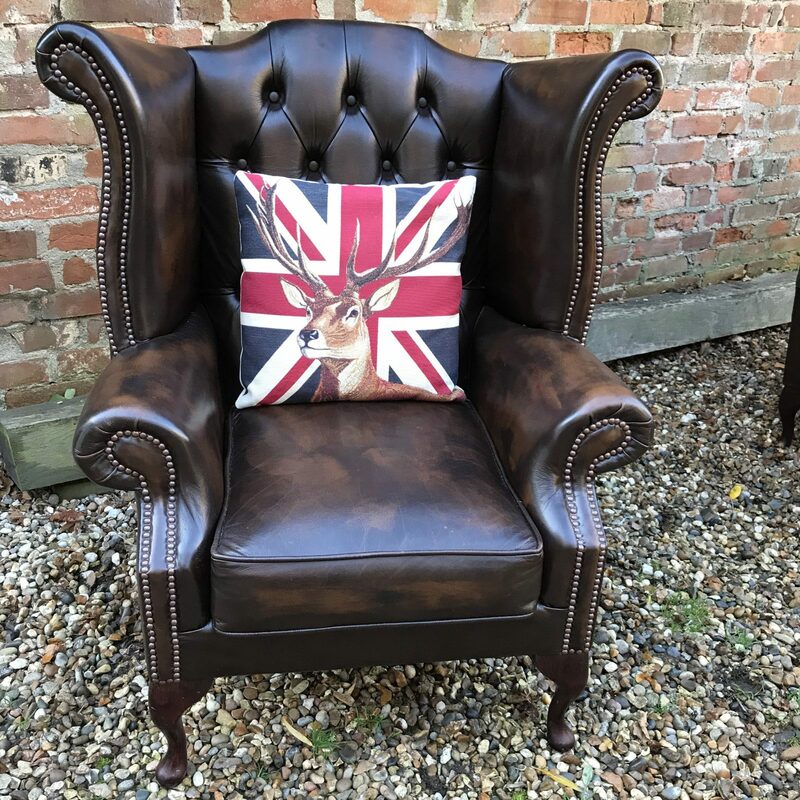 Enquiry about Dark Brown Wing Back Armchair. Immaculate Dark Brown leather wingback armchair.